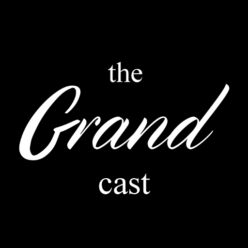 The Grand Cast’s production stack is fully open source. It is recorded on a 5+ year old laptop running Linux Mint (https://www.linuxmint.com/). There are two USB microphones used, a Blue Snowball and a Blue Snowball Ice. The initial recording is done using OBS (Open Broadcaster Software https://obsproject.com/). There’s almost certainly a better way to do this, but this is the way I’m comfortable doing it, and it ain’t broke so.. The intro and outro are added on, background noise is reduced, and the final mp3 form is generated using Audacity (http://www.audacityteam.org/). This blog is powered by WordPress (https://wordpress.com/) and edited using Mozilla Firefox (https://www.mozilla.org/en-US/). The podcast feed and a few other features are provided through the free WordPress plugin PowerPress (https://create.blubrry.com/resources/powerpress/). Files are ferried around using Filezilla (https://filezilla-project.org/). The website domain and hosting is through NameCheap (https://www.namecheap.com/). Make sure that you download the corresponding app yourself to make sure it looks correct and updates properly.